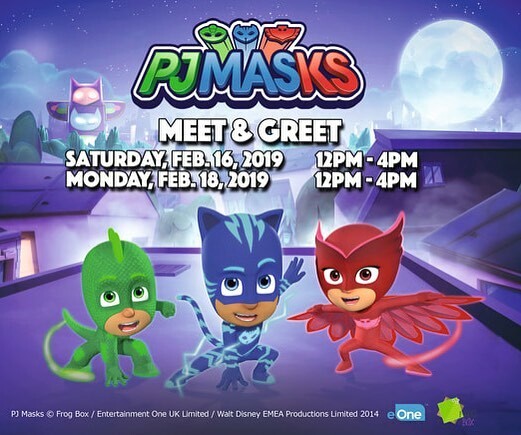 MEET N' GREET with OFFICIAL PJ MASKS & PEPPA PIG at KIDAPALOOZA (Feb 16-18, 2019)! 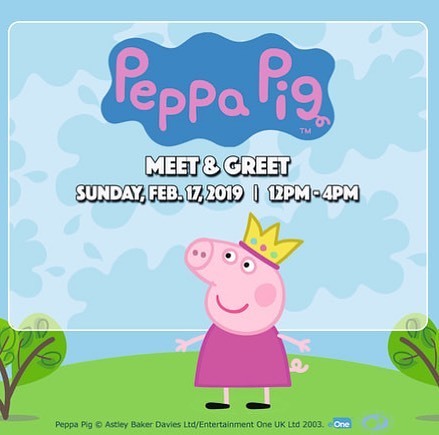 Thread: MEET N' GREET with OFFICIAL PJ MASKS & PEPPA PIG at KIDAPALOOZA (Feb 16-18, 2019)! I'm the Sales Director of the Kidapalooza Family Festival taking place at the Markham Fairgrounds on Feb 16th, 17th, & 18th, 2019. Here's a special 15% off discount for tickets purchased online at www.kidapalooza.ca/tickets ***the meet n' greet are included in the festival admission. Admission includes all activities and rides, except pony rides and facepainting. Kidapalooza Family Festival will take place February 16-18, 2019 at the Markham Fairgrounds in over 50,000 sq ft of INDOOR space with some outdoor activities. The event will feature Kidapalooza's signature ​activity stations, interactive inflatables, mechanical rides, stage shows, rock climbing, special guest appearances, plus so much more! You will also be able to shop local and artisan vendors along with all of the Family Festival Fun! 2019 Event will feature a NEW layout, NEW Build It Zone activities, expanded play zones and a whole lot of fun!